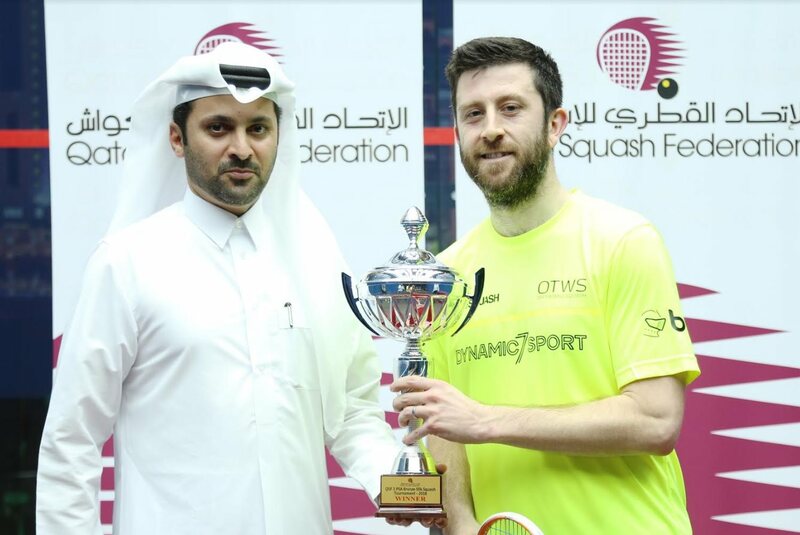 Just a few days after the end of the 2018 Qatar Classic, many of the world’s top players are back in Doha for the $50k PSA Bronze QSF #1 tournament. 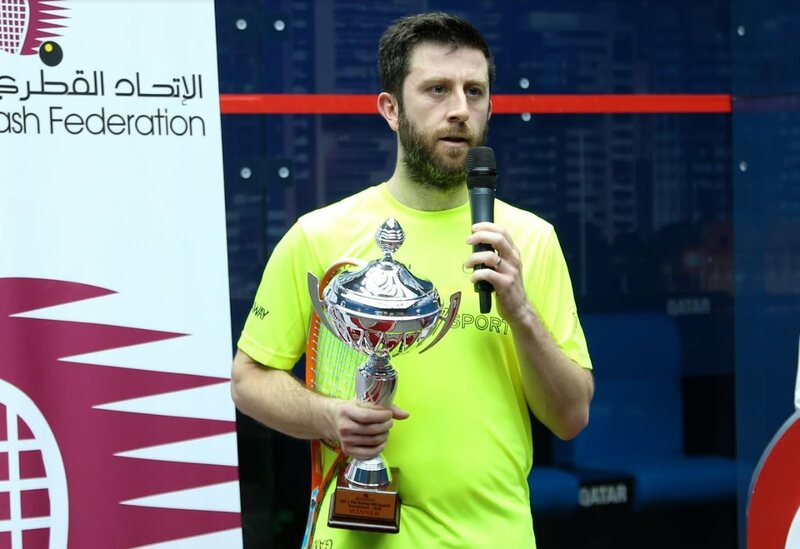 England’s Daryl Selby claimed the QSF #1 title as he beat top seed Omar Mosaad in straight games in the final at the Khalifa International Tennis and Squash Complex, just days after the end of the Qatar Classic at the same venue. “I didn’t have this much confidence before this tournament, I had a tricky start to the season. I played here in Qatar Classic and I lost to a very talented player Mazen Hesham. 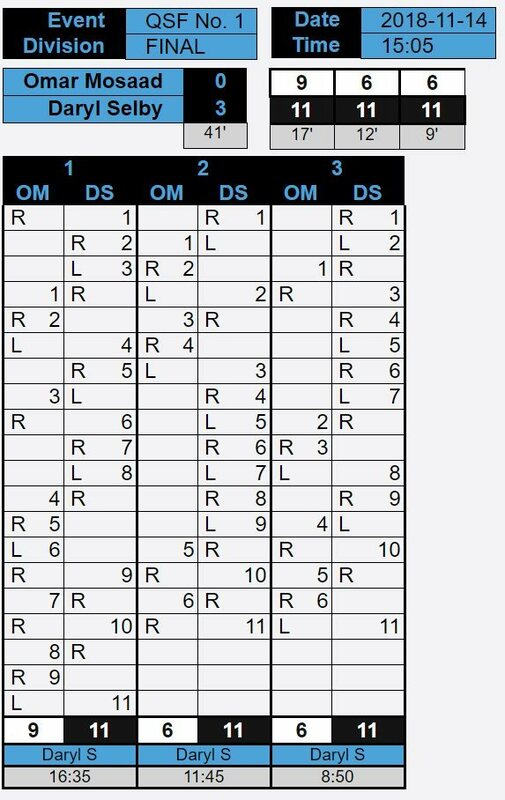 His ranking below me and I really was hoping to win but I didn’t perform to my best. “This week I was hoping I would win, but I did not expect to win. “I think the key to thios match was just focus and concentration, especially in the first game – it was point for point very close against someone who hits the ball as well as Omar and a former World #3. He is a very, very good player. “I think my experience helped this week. I played all the crucial points very well. Yesm experience counts for a lot , confidence and believe as well. Each match I played I got better and I gained myself more confidence. “It’s tough when you get to the end of your career, so you try to enjoy and savor every moment that get played in top of events and occasions. I know I don’t have too much time longer left to play. I’m just enjoying playing. “I like coming to Doha. I really enjoy being in Doha. I feel relaxed here. Everyone here is very helpful. I know Doha very well. So I feel comfortable playing on this court. 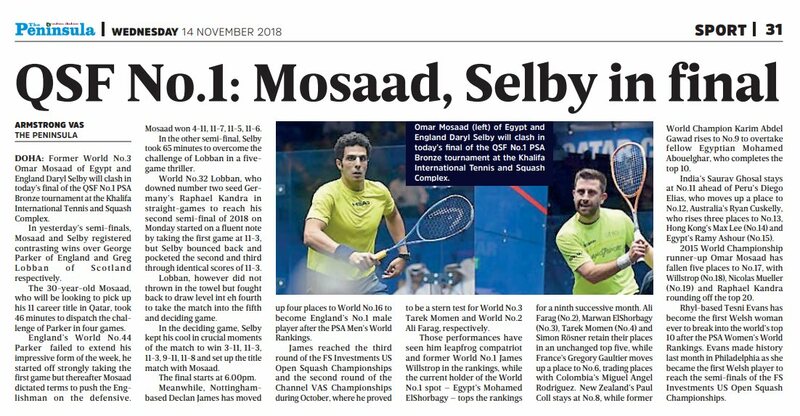 The final of the QSF #1 will be contested by Egypt’s Omar Mosaad and England’s Daryl Selby after semi-final victories today at the Khalifa International Tennis and Squash Complex in Doha. Top seed Mosaad recovered from a slow start, losing the first game heavily to unseeded Englishman George Parker, but recovered to take the next three games with some comfort. Selby, the third seed, also lost his opening game as Scotland’s fifth seed Greg Lobban took a swift lead. Selby struck back, taking the next two games comfortably, but couldn’t quite overhaul Lobban’s 8-4 lead in the fourth as the Scot set up a decider. After a close opening to the fifth, Selby forged ahead reaching 10-6 and closed it out on his third match ball. 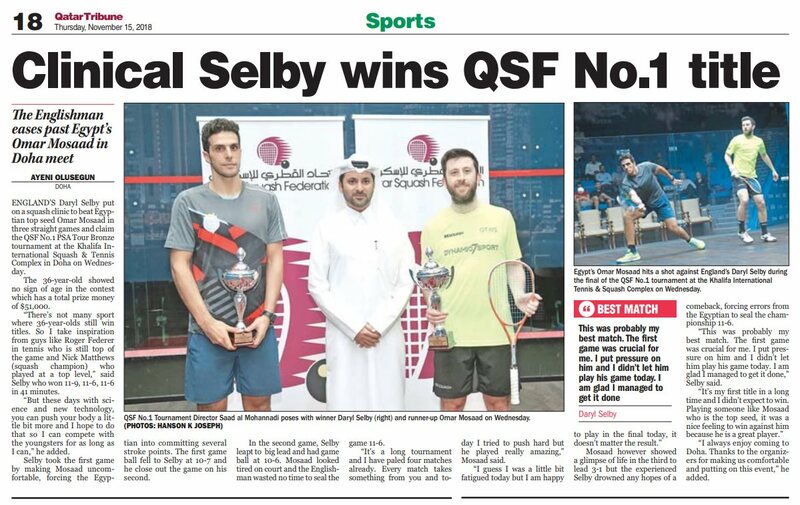 Home interest in the QSF #1 PSA Bronze event ended as Qatar star Abdulla Al Tamimi lost out to England’s Daryl Selby in the quarter-finals at the Khalifa International Tennis and Squash Complex in Doha. Selby, the third seed, took the first but Tamimi rallied well to level, and had game ball opportunities in the third before Selby regained the lead in extra points. The Englishman was always ahead in the fourth, and although it was close, the home favourite could never quite close the gap. 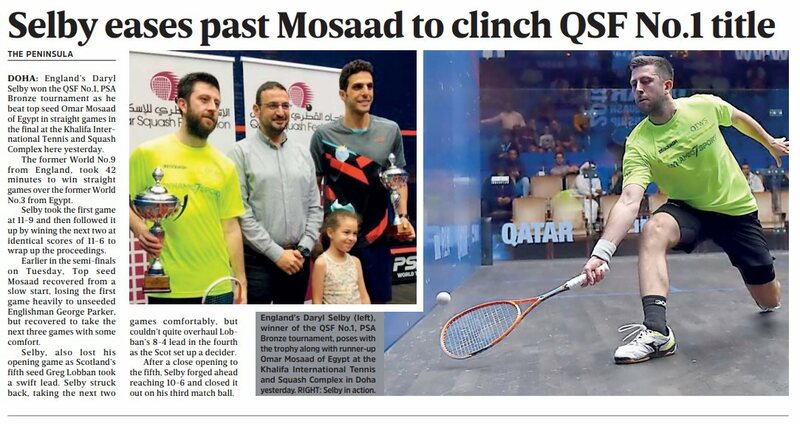 Top seed Omar Mosaad kept Egyptian interest alive as he despatched undeeded Englishman Josh Masters in straight games. 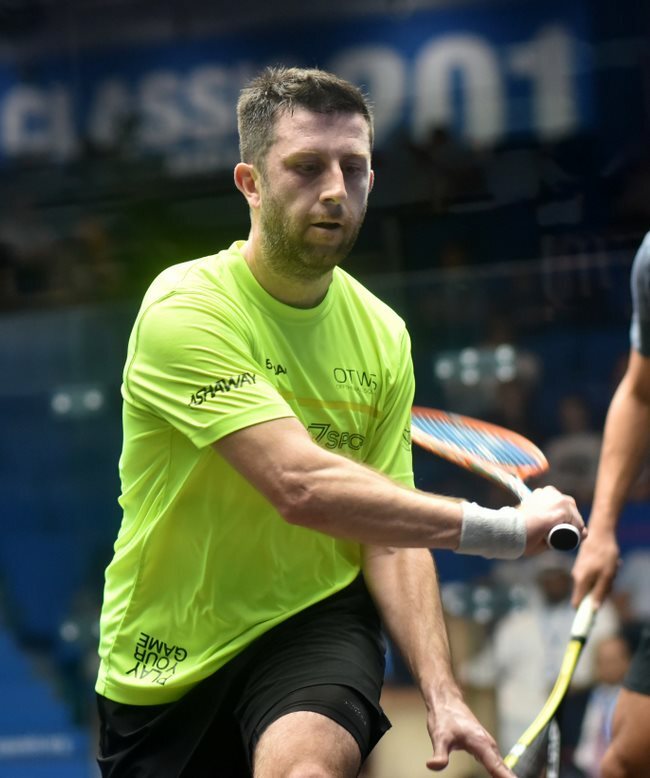 He’ll face more English opposition in the semis after George Parker followed up on his win over fourth seed Cameron Pilley with a three-nil win over Malaysia’s Ivan Yuen, also unseeded. In the final match of the day sixth seed Greg Lobban of Scotland ousted second seeded German Raphael Kandra in three close games. 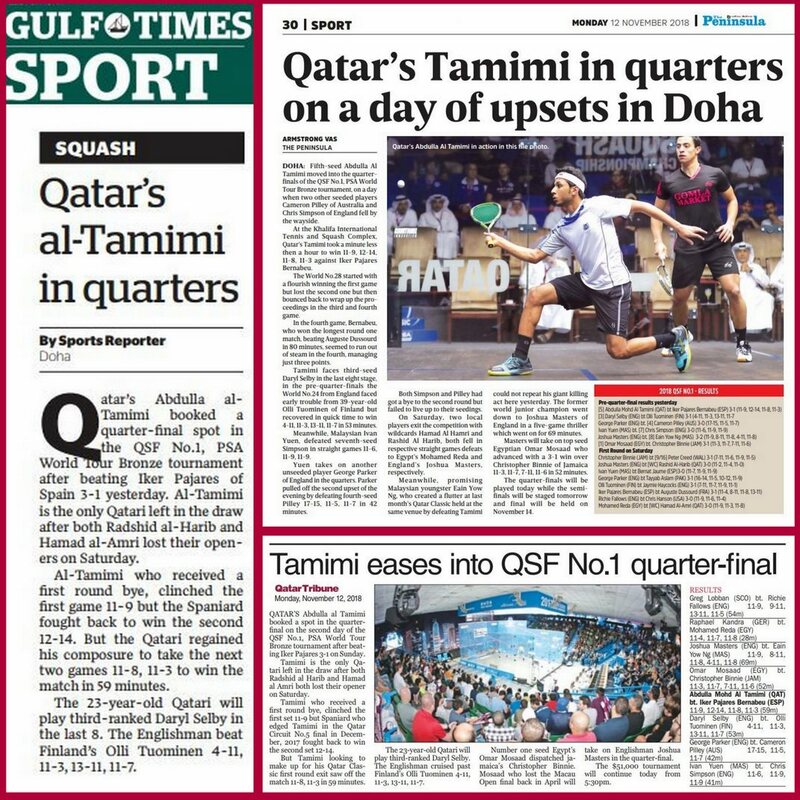 Qatar’s Abdulla Al Tamimi made it safely through to the last eight as he beat Spain’s Iker Pajares in four tough games, setting up a quarter-final against Englishman Daryl Selby, who came from a game down to beat Finnish veteran Olli Tuominen. Round Two saw the seeded players enter the fray, and three of them failed to make it past their first match. Eain Yow Ng fell in five games to Josh Masters, Ivan Yuen beat Chris Simpson in straight games, and in the biggest upset England’s George Parker beat fourth seed Cameron Pilley in three tough games. That leaves Egypt’s Omar Mosaad as the only remaining seed in the top half of the draw, while all the bottom half matches went to seeding. In the opening round it was Jamaica’s Chris Binnie who pulled off the surprise win, coming from a game down to beat Welshman Peter Creed to set up a meeting with top seeded Egyptian Omar Mosaad. There was no joy for the local players, wildcards Rashia Al-Harib and Hamad Al-Amri both losing out in straight games. The other round one winners all face seeded players in Round Two, which takes place from 17.30 on Sunday. 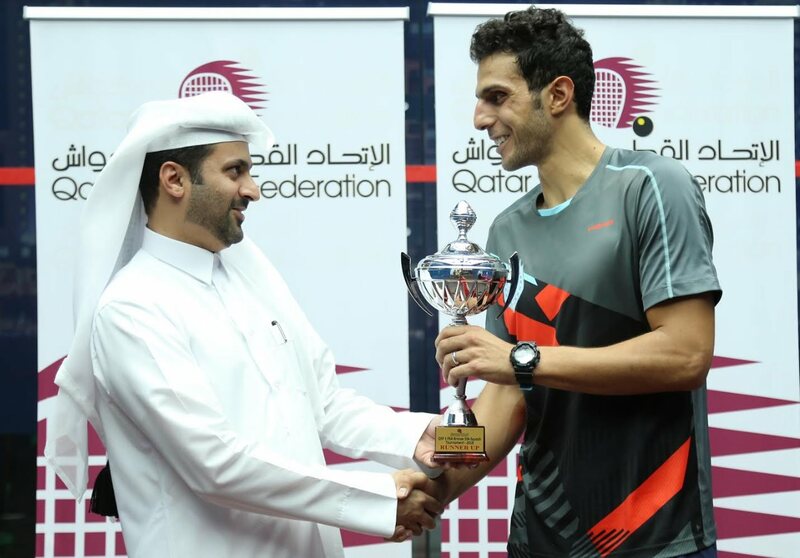 Qatar’s number one Abdulla Al Tamimi, the fifth seed, meets Spain’s Iker Pajares, who won the longest round one match, beating Auguste Dussourd in 80 minutes.